AMD has officially announced details regarding its new products that include two new CPU coolers and three new processors, one of which is the AMD Wraith Cooler, which was seen back at CES 2016. In addition to that, the three new AMD processors are using the FM2+ socket. The first CPU cooler that AMD has officially announced is the Wraith Cooler. AMD’s new CPU cooler boasts a noise output of merely 39dBA, which is quieter over its predecessor by 12dBA. 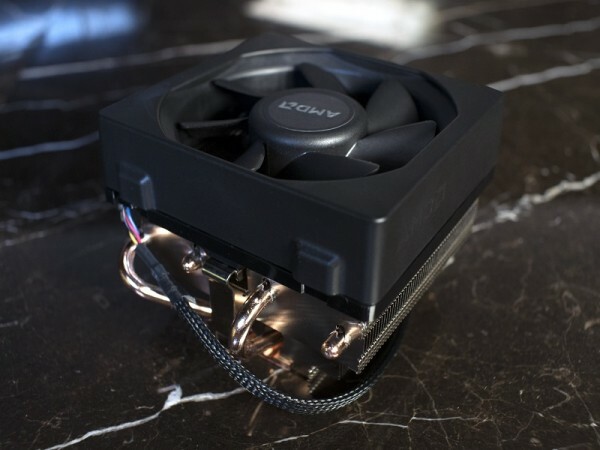 In addition to that, the Wraith cooler is capable of 34% more airflow when compared to the old stock CPU cooler by AMD, thanks to its efficient fan design. Besides that, the new CPU cooler is also significantly larger than AMD’s old thermal solutions. Of course, not forgetting the LED-lit AMD logo, which compliments the matte black finish of the cooler. 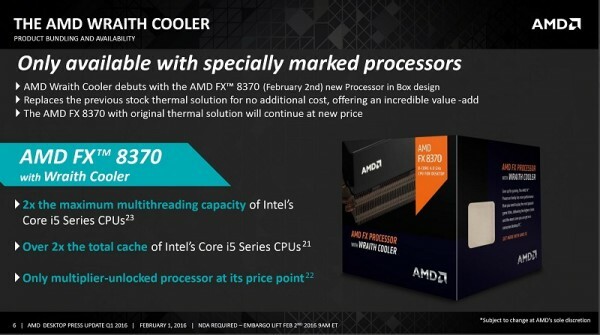 According to AMD, the Wraith cooler will be bundled along with recent batches of the AMD FX 8370 processor. 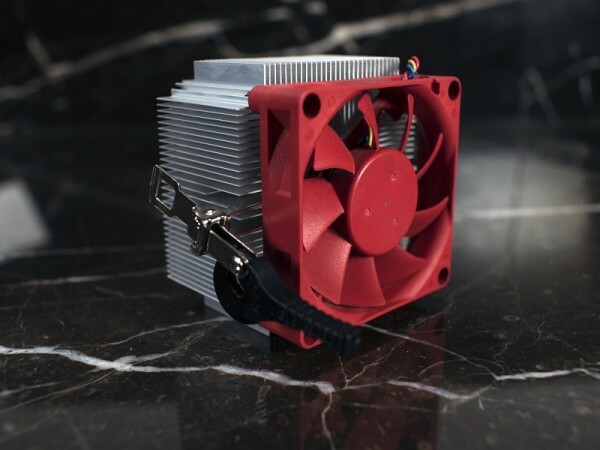 AMD has also announced another CPU cooler, which unfortunately, has no fancy name. AMD said that its new 95W cooler has the same sound output as the more premium option – Wraith – and will be shipping with selected A10, A8 and Athlon X4 processors. There are no details on whether or not both CPU coolers will be made available for retail individually. Based on the Steamroller architecture and an FM2+ socket, the A10-7860K desktop APU comes with four CPU cores which has a base clock speed of 3.6GHz and a boost clock speed of 4.0GHz along with 4MB of L2 cache. In addition to that, the APU is also equipped with a Radeon R7 iGPU, which has eight GPU cores to ensure a smooth gaming experience. 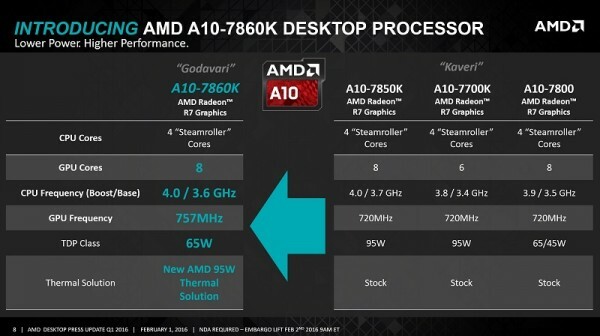 AMD says that the A10-7860K APU will be coming with AMD’s new 95W thermal solution as well. The AMD A10-7860K APU will be retailing for a price of US$117.99 (about RM500). Unfortunately, AMD did not mention when the APU will be retailing in Malaysia. Like the previous processor, the A6-7470K desktop APU is also based on the Steamroller architecture that uses an FM2+ socket. The newest addition to the A6 APU series comes with two CPU cores that has a base and boost clock speeds of 3.7GHz and 4.0GHz respectively along with 1MB of L2 cache. AMD mentioned that the processor will be powered using four Radeon R5 iGPU cores, which has a GPU frequency of 800MHz. 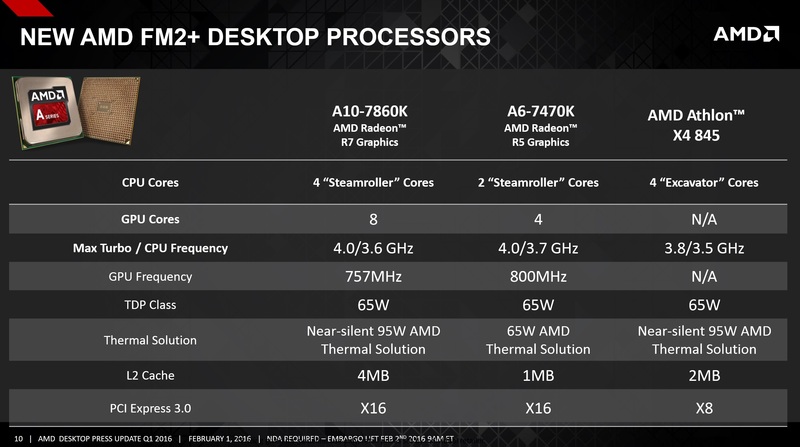 However, AMD did not provide us with the details regarding the price and availability of the A6-7470K APU. 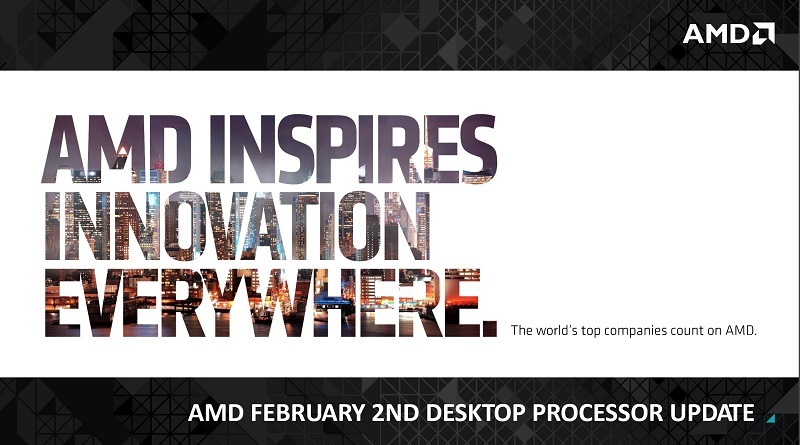 Those that are interested will have to wait for further details to be provided by AMD. The final processor that AMD has announced is the Athlon X4 845, which is based on the Excavator architecture. The desktop CPU has a base clock speed of 3.5GHz and a boost clock speed of 3.8GHz as well as 2MB of L2 cache. That being said, the Athlon X4 845 will also be bundled along with AMD’s new 95W thermal solution. Price-wise, the Athlon X4 845 will be retailing at US$69.99 (approximately RM295). The availability of the CPU in Malaysia was not mentioned either, as usual. Finally, AMD has also revised certain CPUs and APUs pricing to reflect the addition of the new thermal solutions. The AMD FX 8370 that comes with the Wraith cooler will be sold for US$199.99 (about RM840). Meanwhile, AMD APUs such as the A8-7670K will be priced at US$105.99 (around RM450), while the AMD A8-7650K will retail for US$95.99 (about RM405). In addition to that, AMD’s Athlon X4 870K and X4 860K will be priced at US$89.99 (approximately RM380) and US$79.99 (around RM340) respectively. All of the aforementioned CPUs and APUs – aside from the FX 8370 – will come with AMD’s new 95W thermal solution.